Allyson Carpenter said she wants to bridge the gap between the needs and concerns of students at Howard University and the surrounding community. In the sixth grade, Allyson Carpenter, then 10 and the youngest student in her middle school, rallied her classmates to sign a petition to get their teacher fired for what Carpenter deemed mistreatment of students. By the time the principal called Carpenter’s mother in to discuss her daughter’s activity, young Allyson had collected 800 signatures from the entire middle school’s student body, not just the 300 sixth graders in her class. 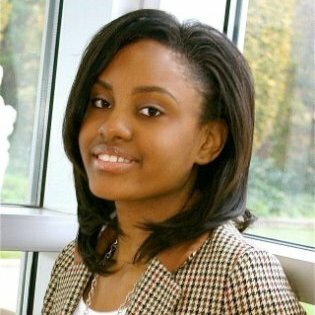 With that same fearlessness and passion, Carpenter this summer won election as the Advisory Neighborhood Commissioner for the community surrounding Howard University, and thus, at 18, became the youngest person ever to be elected to a position in the District of Columbia. Carpenter’s mother, Alaina Carpenter, said she is really not that surprised with her daughter’s new position. “She was always fighting for the cause when people couldn’t stick up for themselves,” her mother said. Yet, none of these roles, Carpenter said, defines her. Carpenter said she is of her own making, constantly molding herself into different forms, all with a single core — she wants to help others. Carpenter represents Ward 1B10 in Northwest Washington, which stretches from Hobart Place to Bryant Street on the north and south and from Sixth Street to First Street on the east and west. It includes most of Howard University’s s main campus. Commissioners like Carpenter serve two-year terms and receive no salary, but do receive grant money for the general purpose of improving their area and hiring staff. “If you think about the ANC, it’s different from any other elected office in the District, because it really is completely a service position,” said Carpenter, who is one of more than 200 ANC commissioners. Carpenter said she wants to bridge the gap between the needs and concerns of students at Howard and the surrounding community. This past summer, Carpenter met with elected officials and candidates in the District, looking to get an idea of where Howard students fit into their plans. Allyson left disappointed. Leighton Watson, president of the Howard University Student Association (HUSA), met Carpenter on the Metro over the summer while they were both interning on Capitol Hill, striking up a conversation on how to help other students at Howard. Watson said he was impressed by Carpenter’s desire to help others. Carpenter took action over the summer. She and HUSA members and volunteers went door-to-door surveying residents, getting a bearing on problems in the neighborhood. They collected data, which many of this year’s HUSA initiatives are centered around. Making a difference has always been one of Allyson Carpenter/s goals. Keith D. Miles, chief of staff for the Howard University Office of the Vice President for Student Affairs, met Carpenter when she was accepted to the freshman leadership academy, a program for first year students seeking to challenge themselves in leadership and service. “I think her leadership skillset was developed prior to coming to Howard,” Miles said. “She is inclusive of those she serves and always aware of the situation occurring before her, he said. Carpenter said a pre-college summer program at Harvard University taught her that she had to be active when advocating for her interests. This meant no sitting on the sidelines. “She’s very determined,” he said. “I think that says a lot. She’s not one to throw a bunch of ideas out to see what sticks. Before she makes a statement, it’s thought out. Carpenter’s mother said while she is proud of her daughter, it is less about her accomplishment than who she is as a person. Daniel White is editor-in-chief of The Hilltop and a reporter for the HUNewsService.com.